Hello, fellow friends! Let me introduce you my dearest self as a self-proclaimed traveller and wanderer. I am Malaysian but to be honest, I never travelled much around my own country yet. But based on what I read and saw on the internet, I'm sure that Malaysia has so many amazing places to go. Sadly it just me that doesn't have a chance to travel yet. I have been to certain places with my family and with my friends alone and it was pretty much exciting to wander around in local cities and towns. Since Malaysia is known as multicultural country, the best part is getting to know the sub-cultures of different races and ethnics, tasting different foods and even celebrate different festivals and celebrations. Malaysia also has its own heritage which you cannot found in anywhere else. It's something we called the charm of the country. So, now, with all that I have, I present you my #MyTravelAdventure story around the places in Malaysia that I have visited! We spent one day and a half of day at Cameron Highland. My friend and I arrived in the afternoon and decided to explore the town by evening. But sadly there's no activity we could do since we were late. So we decided to take a long walk around the town, aimless and no direction but voila, we reached the Robinson Falls! The next day we followed a tour package visiting certain places around Cameron Highland. We had a chance to visit the BOH Tea Centre Sungei Palas, climbing the watchtower nearby Puncak Gunung Brinchang and walking through the Mossy Forest. It's very soothing around there! I'd overcome my fear of height while climbing the tower just for the sake of this magnificent view! It's a call for a nature lover! I've been in Melaka in 2013. It was a one day trip but I was able to visit few places. Melaka is also known as The Historic State for its specific multicultural heritage that is still can be seen until now. I would say Melaka is quite an interesting city for its historical building everywhere. Visiting Melaka is like learning history subject where everything written in the book is coming alive. As for foods, we couldn't really do food hunting while we were here. But gotten a chance to leave my footprints in Melaka was more than enough for me. I was studying in Kota Kinabalu back then and it was my first chance to visit the Kundasang which is also famously known as New Zealand Malaysia. It was very cold and windy when we were there due to rain. Lucky that it really feels like being in New Zealand when the temperature drops with all that fog and mist, the breeze and beautiful greenie surrounding! Yes, I am a Sarawakian and it was my first time visiting Kuching last two months ago. It was an unexpected trip but I managed to book cheap ticket and hotel there. 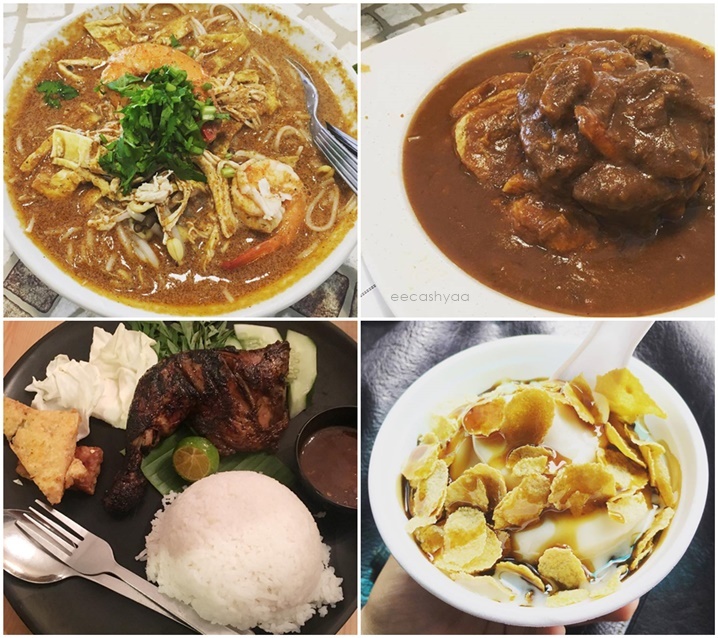 My friends told me there are so many kind and delicious foods in Kuching and I don't want to miss the chance of tasting them. Fat doesn't care as long as tummy is happyyy! 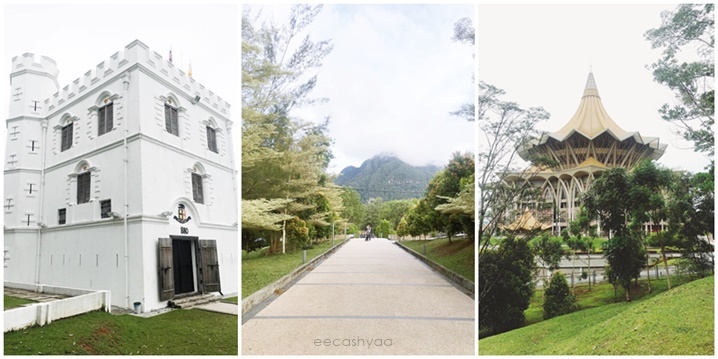 Other than the amazing foods, Kuching also has some heritage and nice places to go. 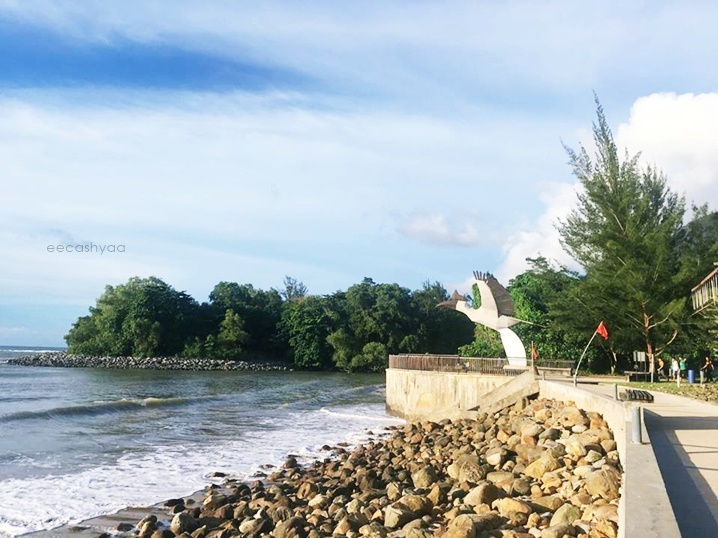 In the photo above is Fort Margherita, Damai Beach and uniquely design Dewan Undangan Negeri Sarawak. I love taking photos more to building and landscape view but sadly I didn't get a chance to visit many places due to a short trip. It's Gunung Santubong and Damai Beach! What else can be more exciting than enjoying the view and the sunset? People come here to relax and just spending leisure time with family and friends. Planning A Travel Adventure? Find Traveloka! 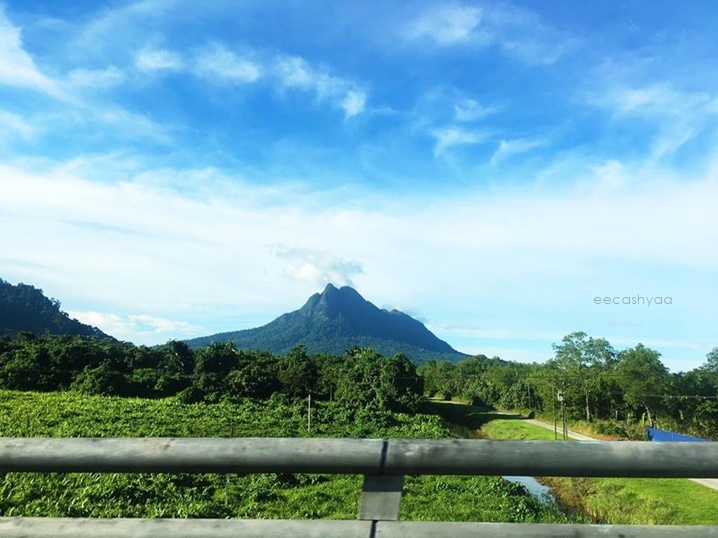 wuihh.. ini betul2 adventure ni..
Cantiknya kundasang. Teringin nak pergi. OMG, that laksa and rojakkkkkkkkkk! congratulation for your win ! I just got first 20 entrants in this contest :) Congrats again ya ! Kebetulan...Melaka, Sabah, Sarawak dan Cameron Highland aku dah pernah pergi, memang antara hot spot yang signifikan bila cakap pasal pelancongan / travel di Malaysia. Kalau aku join contest ni, kemungkinan besar entri aku sama macam entri ni cuma berbahasa melayu dan gambar berterabur dan ayat tak bersusun macam kau.